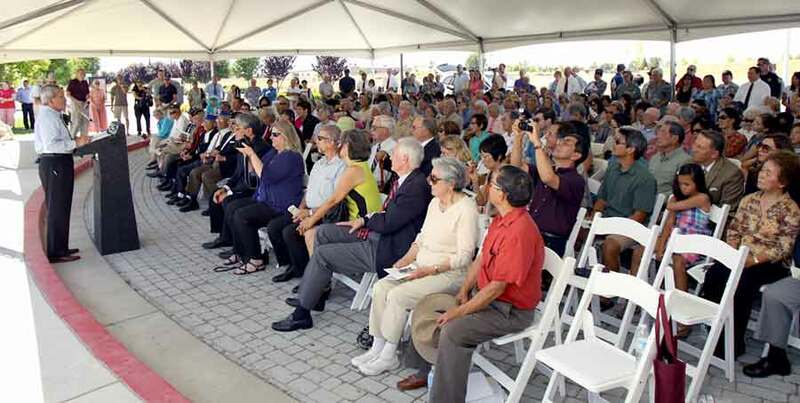 Temperatures hovered above 90 degrees, but that didn’t stop hundreds of people from showing up at the Bill Santucci Justice Center on Sunday, June 2, 2013, to witness the official unveiling of an incredible memorial honoring Japanese Americans who fought in World War II. As the general public sought the comfort and shade provided by the large canopy tent, the spotlight fell solely on the brave Japanese Americans (Nikkei) who risked their lives in World War II and their families who were forced into internment camps at the time. The event opened with an uplifting and powerful performance by Placer Ume Taiko, followed by the Color Guard from Sacramento Nisei VFW Post 8985, who presented the colors and led the Pledge of Allegiance. Tokutomi then updated those in attendance on the history of the four-year project and thanked all those involved in making the incredible memorial possible. After inspiring words from a few keynote speakers, including Robert Nakamoto of the Japanese American Veterans Association (JAVA) and Carol Sato-Yamazaki chair of the National Veterans Network (NVN), the awe-inspiring bronze statue, black granite benches, black granite rocks with plaques, and commemorative bricks honoring donors and veterans were unveiled. Among the VIPs who attended were 4th District of California Congressman Tom McClintock, State Senator Ted Gaines, Assembly Member Beth Gaines, 4th District California State Assembly member Mariko Yamada, Placer County Supervisor Jennifer Montgomery, Placer County District Attorney Scott Owens, several Placer County judges, mayors and city council members from Roseville, Rocklin, Loomis and Auburn, as well as veterans of the 442nd Regimental Combat Team, the 100th Battalion, and the Military Intelligence Service. 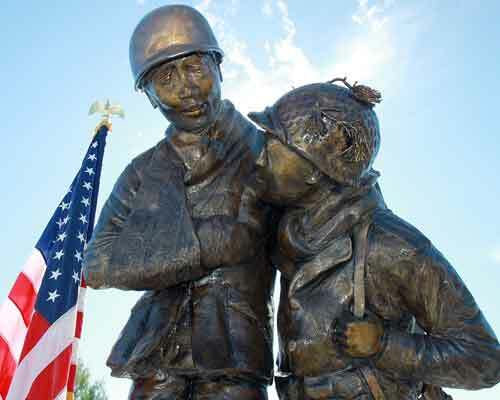 Dark days they were sure, but thanks to the new memorial, their bravery and loyalty will be a beacon of hope and inspiration for generations to come. This permanent monument was funded through donations. We are proud to honor all those who served in the 442nd RCT/ 100th Battalion and the Military Intelligence Service, as well as those individuals and families of Japanese ancestry who were forced into internment camps during World War II. We are developing educational materials to inform visitors and students of all ages. Your contribution to Placer County JACL is tax-deductible. The Japanese American Citizens League (JACL) paid tribute to the Japanese American veterans who served in the armed forces during World War II and the Korean War. In the organization’s 3rd Annual Gala Awards Dinner held September 15 in Washington D.C., the JACL bestowed their appreciation to veterans of all conflicts and persons who are currently serving in the military, and particularly veterans of the 100th Battalion/442nd Regimental Combat Team, the Military Intelligence Service (MIS), and others who served in regular units during World War II, and veterans of the Korean War. 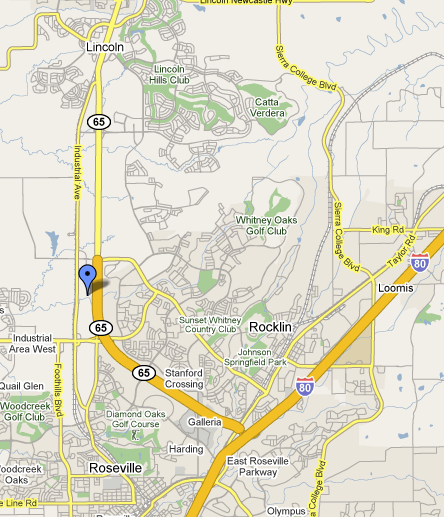 Donations made to Placer County JACL (a 501c3) are tax-deductible to the full extent of the law. Thanks To Our Generous Contributors! © 2018 Placer County Japanese American Citizens League. All Rights Reserved.